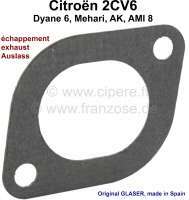 sample image Elbow seal exhaust 2CV6, improved version. The seal is made of most significant seal material. Preparation of Reinz Germany. 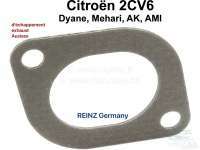 sample image Manifold seal exhaust, for 602cc engine. 2CV6. 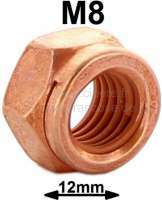 Or.Nr. 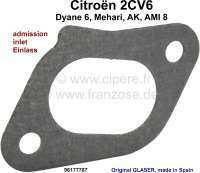 96177786.
sample image Elbow seal inlet + exhaust for Citroen 2CV old. The seals are installed with vehicles, whose elbow spider with 3 screws per side are fastened. 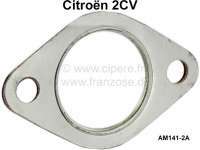 sample image Elbow seal suitable for inlet + exhaust, for Citroen 2CV with 12 HP engine. (Vehicles with 3 connectors of the Inlet + exhaust manifold). Significant reproduction of the original manufacturer! 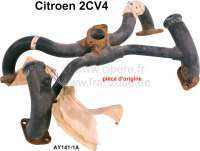 sample image Inlet + Exhaust manifold for 2CV (425ccm/435ccm engine), incl. generator fixing. Original. 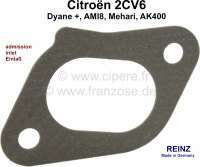 sample image Inlet + exhaust manifold for 2CV6 with round carburetor, Installed from 04/1972 to 06/1980. 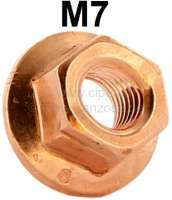 sample image copper nut M7 for exhaust system ! For exhaust system and outlet manifold. Please use only copper nuts: no rust, no sticking! sample image M7, stud bolt for 2CV, DS, R4. Measurement: 38mm. (e.g. elbow spider on cylinder head 2CV). 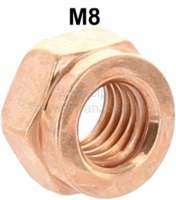 sample image M8, copper nut M8, for 13mm tool. Universal suitable e.g. for exhausts + exhaust manifolds. sample image M8, copper nut, for 12mm open end wrench. For exhausts + exhaust manifolds. sample image M8, nut for 12mm wrenche. 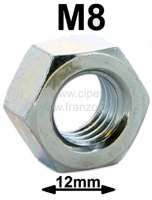 (Metal) (e.g. carburetor on intake manifold 2CV). sample image Stud bolt M7 on M8. 45mm lengths. Special production!